Later in the evening,toss any remaining fruit in the blender, turning the Thanksgiving centerpiece into a tasty fruit smoothie, Pine Colada or whatever one likes to quaff down for a holiday beverage. In contrast to carved fruit, the edible fruit basket with whole pieces of fruit can be set out right after dinner as the the Thanksgiving centerpiece. Over dessert, the fresh fruit basket doubles as a dessert option and/or as a garnish. Just as the elements of the carved fruit basket can be used in cocktails and beverages, the same tenet applies here. 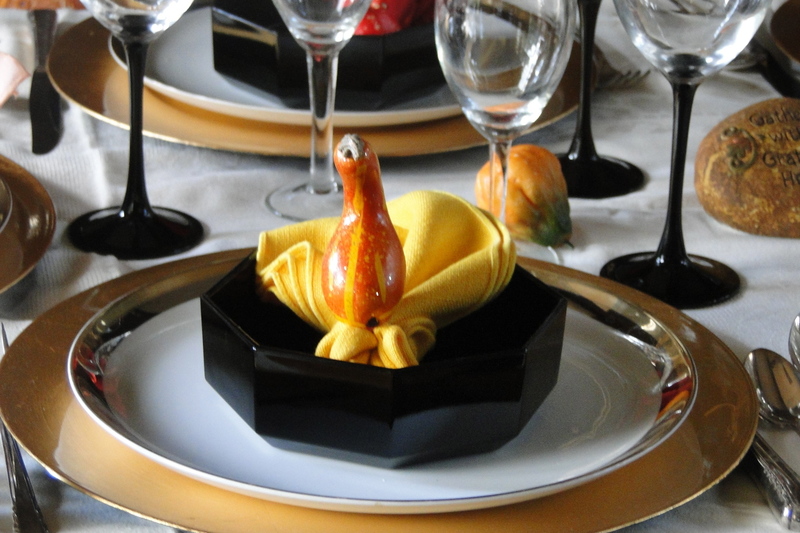 And if you want to share your basket’s contents, when guests depart for the evening, let them choose which piece of fruit they would like to take home from the Thanksgiving centerpiece. Post your favorite Thanksgiving centerpiece design ideas with or without a fresh fruit basket.